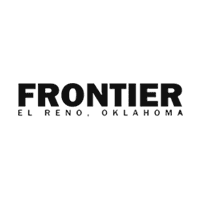 Frontier Auto Group is committed to Customer Satisfaction. Please contact us via phone or email for specific vehicle information. Every reasonable effort is made to ensure the accuracy of this information. There could be errors or omissions contained on these pages. Please verify any information in question with Frontier Chevrolet. Inventory is subject to prior sale. Rebates and Incentives change all the time. We are humans keeping track of an ever changing digital world. We make every effort to confirm our pricing is accurate but still encourage you to call or come in to check to make sure you qualify for all incentives and that the price is correct. Who know’s you may even qualify for additional discounts!EPA Estimates OnlyThe features and options listed are for the new 2018 Chevrolet Silverado 1500 and may not apply to this specific vehicle.Tax, title, license (unless itemized above) are extra. Not available with special finance, lease and some other offers. 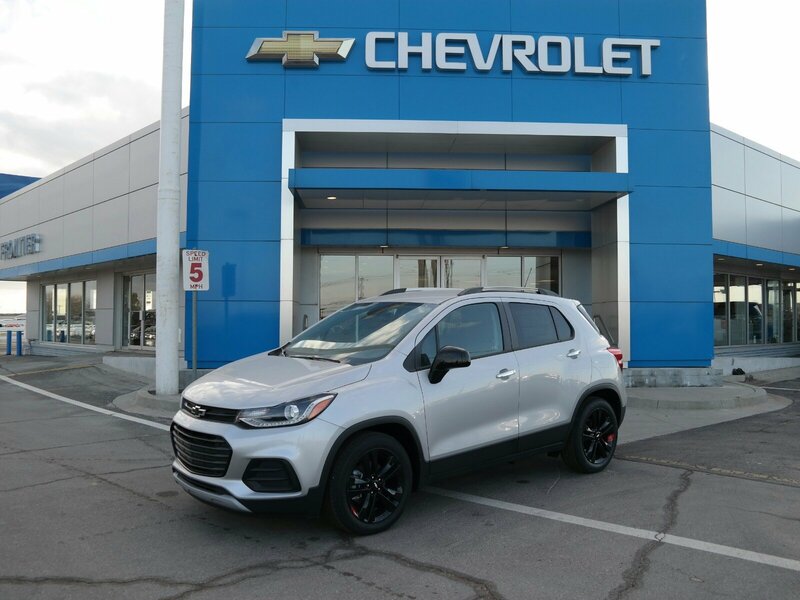 WHEELS, 18 (45.7 CM) BLACK FINISH ALUMINUM WITH RED ACCENT STRIPES, TRANSMISSION, 6-SPEED AUTOMATIC (STD), TIRES, P215/55R18 ALL-SEASON, BLACKWALL, STEERING WHEEL, LEATHER-WRAPPED 3-SPOKE, SILVER ICE METALLIC, SIDE BLIND ZONE ALERT, SEATS, FRONT BUCKET WITH DRIVER POWER LUMBAR (STD), SEAT TRIM, DELUXE CLOTH/LEATHERETTE, SEAT ADJUSTER, DRIVER 6-WAY POWER, REDLINE EDITION includes (REN) 18 Black finish aluminum wheels with Red accent stripes, (RAK) P215/55R18 all-season blackwall tires, Black mirror caps, (GGC) Black grille with Black surround, front and rear Black bowties, Black beltline moldings and (CG6) Black Trax badge with Red outline. 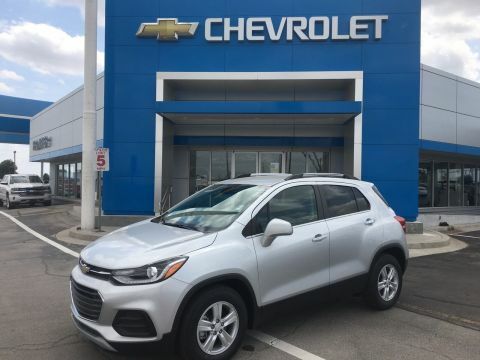 This Chevrolet Trax has a dependable Turbocharged Gas 4-Cyl 1.4L/83 engine powering this Automatic transmission. 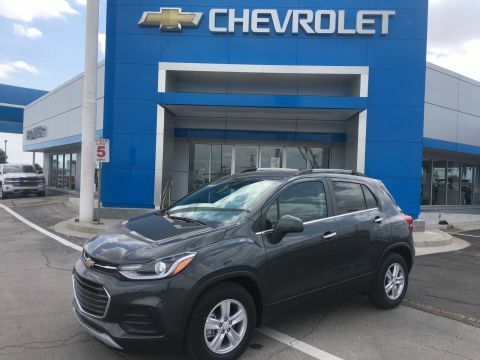 *Experience a Fully-Loaded Chevrolet Trax LT *LT CONVENIENCE PACKAGE includes (AVJ) Keyless Open, (BTM) Keyless Start, (5H1) Key System, (AG9) driver 6-way power seat adjuster, (N34) leather-wrapped 3-spoke steering wheel, (EGI) Deluxe Cloth/leatherette seat trim and (D7A) body-color door handles with chrome accents, DRIVER CONFIDENCE PACKAGE includes (UFT) Side Blind Zone Alert, (UFG) Rear Cross Traffic Alert and (UD7) Rear Park Assist , REAR PARK ASSIST, SENSOR INDICATOR, REAR CROSS-TRAFFIC ALERT, ORNAMENTATION, TRAX BADGE WITH RED OUTLINE, LT PREFERRED EQUIPMENT GROUP includes Standard Equipment, LICENSE PLATE BRACKET, FRONT, KEYLESS START, KEYLESS OPEN with panic alarm, KEY SYSTEM, 2 SPARE KEYS, JET BLACK, DELUXE CLOTH/LEATHERETTE SEAT TRIM, GRILLE, BLACK WITH BLACK SURROUND, ENGINE, ECOTEC TURBO 1.4L VARIABLE VALVE TIMING DOHC 4-CYLINDER SEQUENTIAL MFI (138 hp [102.9 kW] @ 4900 rpm, 148 lb-ft of torque [199.8 N-m] @ 1850 rpm) (STD), DOOR HANDLES, BODY-COLOR WITH CHROME ACCENT, AXLE, 3.53 FINAL DRIVE RATIO (STD), AUDIO SYSTEM, CHEVROLET INFOTAINMENT SYSTEM with 7 diagonal color touch-screen, AM/FM stereo voice pass-through technology, includes Bluetooth streaming audio for music and select phones; featuring Android Auto and Apple CarPlay capability for compatible phone (STD), Wipers, front intermittent, Wiper, rear intermittent, Windshield, solar absorbing, Windshield, acoustic laminated. 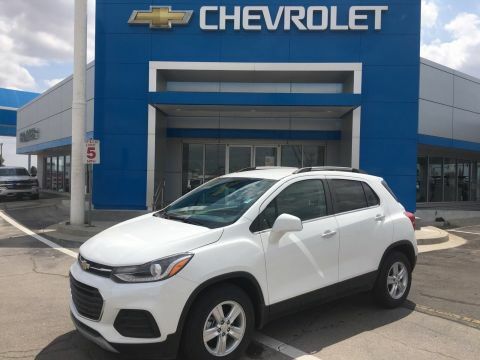 *Stop By Today *A short visit to Frontier Chevrolet located at 1640 East Highway 66, El Reno, OK 73036 can get you a dependable Trax today!